Coming soon! 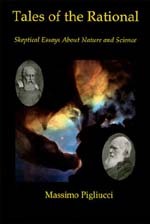 Massimo's new book, Denying Evolution: Creationism, Scientism, and the Nature of Science, by Sinauer. Ecology vs. Ecophily: Is it good to lie for the environment? This column can be posted for free on any appropriate web site and reprinted in hard copy by permission. If you are interested in receiving the html code or the text, please send an . Or, you can subscribe (free) to the Rationally Speaking announcements list. Biophilia: the Human Bond with Other Species, by E.O. Wilson, where you can take a closer look at Wilson's serious arguments. The Ecological Society of America, an organization of professional ecologists who are also concerned about the environment. The situation of the environment is getting worse by any reasonable estimate, and we are simply not doing enough: not only to protect what’s left, but to reverse the trend and finally start the long path toward sustainability instead of uncontrolled growth. The problem impacts everybody, including Knoxville, which has just been declared the 8th most polluted city in the US – not exactly a record to be proud of. Among the many environmental problems we face, few have such a high emotional impact as species extinction. More and more people realize that extinction is, literally, final, which raises not only practical questions (what if we just lost a species of plants producing chemicals useful to fight cancer? ), but ethical (what gives us the ethical ground to condemn entire kinds of other organisms to death because we wish to augment our own standard of living a bit more?). However, should we go as far as lying in order to save the environment? Some people apparently think so, and seem to follow the same suggestion that Martin Luther gave to his followers: "What harm would it do, if a man told a good strong lie for the sake of the good and for the Christian church [...] a lie out of necessity, a useful lie, a helpful lie, such lies would not be against God, he would accept them." Well, I don’t know about God, but I’m not too sympathetic toward people who lie, even for a good cause. In the case of the environment, I draw a distinction between ecologists and ecophilists. An ecologist, strictly speaking, is a professional who studies the interactions of living organisms with the environment. I do research on ecological matters, so I am an ecologist in that sense of the word. An ecophilist is somebody who loves the environment and the living world and wishes to do something to protect them. Accordingly, I am an ecophilist as well. The problem comes when people mix the two perspectives and misuse science in order to advance the cause of environmental protection. When that happens, we are lying for the greater good, just like Martin Luther suggested we should do. In both cases, I think we are wasting ethical currency, because neither God (presumably) nor the environment need that sort of help. Let’s consider a recent example of questionable ecophilia. Biologist and Pulitzer Prize winner E.O. 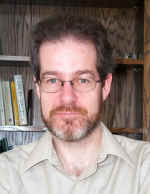 Wilson has given an interview to the Christian Science Monitor (25 April 2002) in which he has made an impassionate appeal for scientists to be activists. I couldn’t agree more. Scientists have an ethical duty as human beings to become involved in issues of public education, especially when they can bring their expertise to direct bearing over fundamental questions such as the preservation of biodiversity. And Wilson has done an admirable job in just such role. However, Wilson also abandoned himself to statements that he will come to regret, as soon as the perennially vigilant anti-environment movement will hear about it. And the damage will be all the greater for the environmental community because of the high status of the scientist who made those claims. There are various problems with this statement, which take a significant amount of power out of it and put a dent into Wilson’s, and the entire environmental movement’s, credibility. First off, Wilson knows very well that extinction and speciation rates have fluctuated wildly throughout the history of the planet, with several documented mass extinctions and a constantly fluctuating rate of “background” extinction: no such nice balance between death and birth has ever been maintained on this planet. Indeed, biologists would be at a loss to explain how such balance could possibly happen by natural forces (which are not in the business of long-term environmental planning). Second, Wilson – later on in the same interview – states that the current estimate of the total number of species living today on earth varies from 1.8 to 10 to 100 million. Hmm, given that we are talking about at least two orders of magnitude of difference, how do we know that we have sped up things by 1,000 times? It could be only 10 times, or maybe 100,000 times. The data are simply not there for us to make an educated (as opposed to a wild) guess. Now, I am sure that Wilson did not mean to consciously mislead the Christian Science Monitor readers, and it is not certain to what extent what was printed was what he meant to say. However, similar exaggerations are presented by ecophilists commonly enough to have fueled a copious literature by a backlash anti-environmental movement (see the excellent book by Paul and Anne Ehrlich, Betrayal of Science and Reason). We don’t need to exaggerate the sorry state of the environment; it’s bad enough as it is. There is good science to give plenty of ammunitions to those who wish to advance the environmental cause. However, if we are not careful with the accuracy of our statements (not to mention if we lie about the facts as some environmental groups have repeatedly done) we lose the moral high ground and we do irreparable damage to the cause of scientific education and to the very problem we are so concerned about. Let’s be scientists and activists by all means, ecologists and ecophilists, but always keep the facts as separate as possible from the feelings. That really helps the environment. Economic vs. Social health: it's not the economy, stupid!